Link building is tough to begin with and made harder when company policies slow down the workflow. 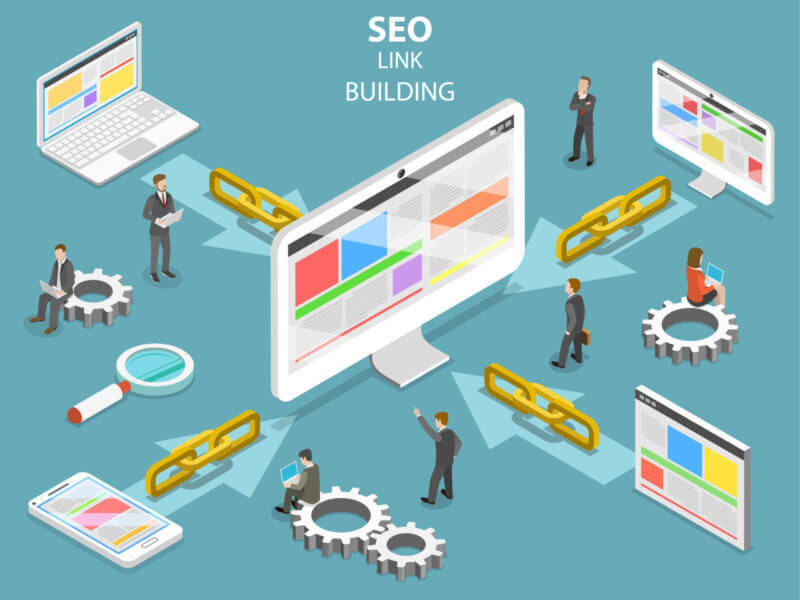 In particular, content-driven link building is hard because you're hoping the idea and execution you've come up with is strong enough to attract links. In particular, content-driven link building is hard because you're hoping the idea and execution you've come up with is strong enough to attract links. You may think you have the best idea in the world, executed in a stunning way via a great design, but if the person on the other end of your outreach email doesn't agree, your content can fail in spectacular style. 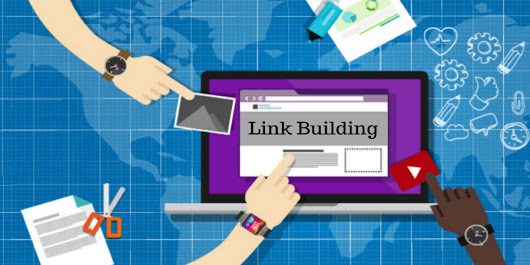 While hard, executing a good link-building campaign is not impossible. Today I want to talk about ways to identify and overcome what I call “blockers,” which are issues or situations that can stop you from getting things done. You can be the best agency in the world, but if you can't get things done, it's not going to count for anything. This type of link works without paying, exchanging and trading at SEO (Search Engine Optimization.) It just attracts the users by having the good content. However, these links are not provided by the website owner, they are owned and fetched by the copywriter. Very often, such links are quite good to make a profile stronger. 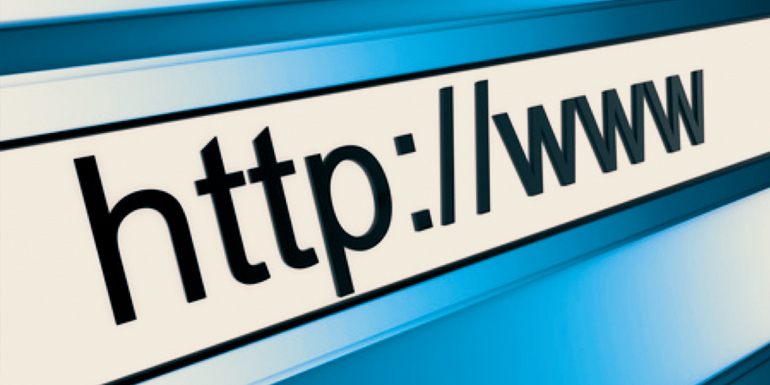 These links are very important for websites because they assign the value to the website. Such links are one way or two way. However, these links are also known as information links. In recent years quantity, quality and relevance have become the most important term for a website. Quite, they help the rater to count the rating of your website. Search engine measures the relevance of a site by comparing it with other sites. Links to all sites are examined by the search engine, which can increase the value of a site according to their links. 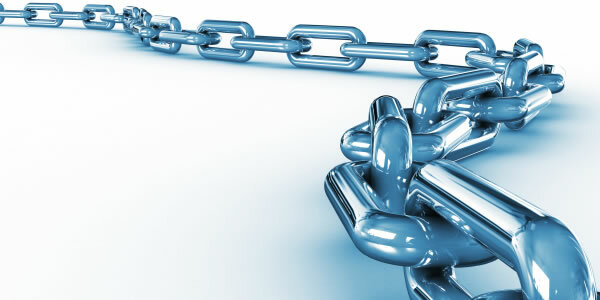 Ranking of a site too depends on the content and linking strategies of the link on a site. A website owner can get such a link after the payment or distribution. This type of link is also known as organic links. Organic links are those hypertext links which are developed with or without exchanging the links. However, by such type of links the user feel content or entire website is more relevant. Very often, these types of the link may include the directory submission, advertising, and forum, etc. Reciprocal Link is the agreement between two sites, and its principle of work is according to guest posting. Generally, such links provide readers with instant access to related sites, or to share a partnership between the two sites. Further, the ways by which, this link increases the traffic of your website-are as follows: People will find your website by clicking the reciprocal link. Search engines encounter the number of links to your website (inter-linking) and also checks the hyperlinks that target your website. Directory links are those links who can be stored in the website directories. Often, the website directories are the catalogs for online sites. But this time directories are used to store the websites information, its links, and much more. However, under directory submission website owners submit their sites to other websites, some of them are free and some are paid. At our agency, we don't lose our clients, but it does happen. That’s part of agency life. We try to minimize our losses as much as possible, but there are always going to be times when things don't work out. Sometimes you could have prevented it, sometimes there is nothing you could have done differently to save the project. So while I'm not going to claim to know all of the answers, I do want to share what I've experienced to be the most common link-building blockers. I am also going to share an example of a project we lost because we didn't do a good job of identifying and overcoming the blockers I talk about below. The principles below could easily apply to most types of projects, not just link building or search engine optimization (SEO) but general marketing projects, in Digital Marketing in India too. From experience, I've found the blockers outlined to be most prevalent and "deal breakers " on content-driven link-building projects. For the sake of clarity, the link-building project mentioned here was content-driven and used items like guides, white papers and infographics to attract links. Every single project has things that get in the way of doing the job. It's important to find out what these “blockers” are as soon as possible. You'll still encounter unforeseen blockers, but when it comes to link building, there are a few common blockers that you should always ask about when you start a project. What blockers exist at each step. How to factor these into the project plan if someone needs a certain amount of time to sign something off. On the latter, this can slow down or mess up project plans very quickly. If a legal team needs two weeks to review your content, that's going to affect your timeline significantly. In terms of what blockers exist along this process, here are a few of the most common ones. The digital team. This is the team you're working with day-to-day and therefore least likely to give you unexpected surprises. Ultimately, this is the team that will be held accountable for the work you do and will have to sign off that they're happy with your work. The key here is to identify what their common concerns are. This is often done naturally over the course of a project. Will the content idea work? Will it attract links? Will the inbound links be from high-quality websites or lower-tier sites? Will the execution look good? Can other teams within the company, such as social or public relations, use this content? The legal or compliance team. This is most likely to be a potential blocker in larger organizations that have dedicated legal teams or external advisors whose job it is to make sure any content your client produces isn't putting them at any kind of legal risk. They are not going to have the same concerns as the digital team. They probably won't care if your idea works or gets links. Their key concerns center around being sued for publishing a particular piece of content. Do we have the rights to publish the content? Is there any third-party copy, images or data where we need to provide attribution or payment? Are we using any copyrighted material, such as logos or trademarked terms? If yes, do we have permission? Are we making any statements or claims that could be challenged by third parties? There could be more, depending on your industry. For example, if you're in a highly regulated industry such as insurance or healthcare, there are likely to be extra layers of checks on what you can and can't say. If the content is written, does it adhere to our existing tone of voice? Is the language written in the same way as the rest of the website? If the content is visual, does it fit with existing color palettes and fonts? Do images follow the same style as existing ones? Is our logo used in the appropriate way? Responsiveness of a piece: Does it work well across devices and browsers? Does the user experience match the rest of the site? If someone moves from the content to the home page, will it feel like a different website? Is the piece accessible to all users, such as partially sighted users? A tone of voice. Does your copy follow their existing tone of voice and fit with the rest of the website? Will any visual content "fit in " with content that has previously been published in the blog or other content sections? What is the scheduled date of publication? Does it fit with the existing schedule or conflict with other planned content? Is the topic of the content one that they are already planning to produce or have done before? Content duplication. In-house PR and outreach teams are likely to have their own lists of topics and themes they are pursuing and they'll be keen to avoid duplication. They'll also want to steer you away from topics which may be controversial. Outreach contacts. They will want to make sure they preserve any existing relationships they have with journalists, writers, bloggers and influencers and avoid duplication. On the second point, this has become a little more difficult recently in Europe because of General Data Protection Regulation (GDPR) which now prevents clients and agencies openly sharing personally identifiable information with each other. Examples of this include journalists’ or bloggers’ names/email addresses/phone numbers etc. This makes it harder to collaborate so the approach we use at Aira (my agency) is to share contacts/planned outreach targets at the domain level. What are the limitations of the CMS that you're working with? Outside of the CMS, are there any guidelines on how interactive content should be created? Examples here could include whether custom names are required for CSS elements or whether the server is Apache or IIS, which may change how you may build a piece of content. Do the team work on a sprint cycle? If so, how long is it, and what's the process for adding work to it? Is there a backlog of any kind that could delay content going live? Is it possible to get limited file transfer protocol (FTP) access to a client website? Being given access to a specific subfolder could speed things up. External agencies. You may be working alongside agencies who conduct similar work and will want to be kept in the loop on your activities. They may not have the power to "block " you as such, but it's certainly possible for your work to be slowed down if you don't have a good relationship with them. I want to share an example of a company we lost because we didn't do a good job of identifying and overcoming some of the link-building blockers I talked about earlier. We’ll call the client account Company A. We were hired to produce content that drove links, coverage and brand awareness. Company A had a lot of the technical and keyword fundamentals covered by their in-house team, so our work was more to check and validate their SEO roadmap, as opposed to writing it from scratch. As a result, we were able to get going pretty quickly with content strategy, production and outreach. We had a number of departments to work with that included Editorial, Brand, Design and UX. We also had to work around the schedule of a development team that had a product roadmap to work through. This roadmap didn't include time to help us upload content and test and tweak it before outreach. The multiple levels of signoff, feedback and development meant an article launch was often slowed down to the point of frustration, even though we understood the need for approval and knew the development team was busy. We planned to launch a content piece every four to six weeks, and instead, it was closer to ten to 12 weeks. Not only was this frustrating, but it meant we couldn't build links because there was no content to link to! This meant when someone at Company A asked the question, "What is being done for us?,” the truthful answer would be "not much." We felt paralyzed by the process, and everyone involved understood and shared many of our frustrations. Unfortunately, there wasn't a whole lot anyone at Company A could do about it given their link-building blockers. The project lasted about nine months before ending. Company A said they did not see a return on their investment, so our services were canceled. Suggested alternative methods for getting content uploaded and launched. Developers are very busy people with many responsibilities. We could have suggested some alternative methods for getting content launched. Taken more time to understand Company A’s internal culture. Brand, editorial and copywriting departments had to sign off, which meant more time would be involved. Used established assets instead of waiting for new content to be launched. Company A had a range of content assets already on the website which we could have picked up and used for outreach while we waited. This would have started to help move the needle on links and ultimately, organic traffic. Take time to understand the link-building blockers you may be faced with so you can work around them, or at least budget for their inconvenience for a positive outcome.